Nakao Shingo Sensei ,7th Dan Aikikai, is the head of Seibukan Dojo in Kobe, Japan, and the Chairman of Hyogo Prefecture Aikido Association. His major teacher and mentor was Yamaguchi Sensei who strongly influenced his relaxed, powerful and harmonious style. For the past 40 years he has studied under Endo Sensei. 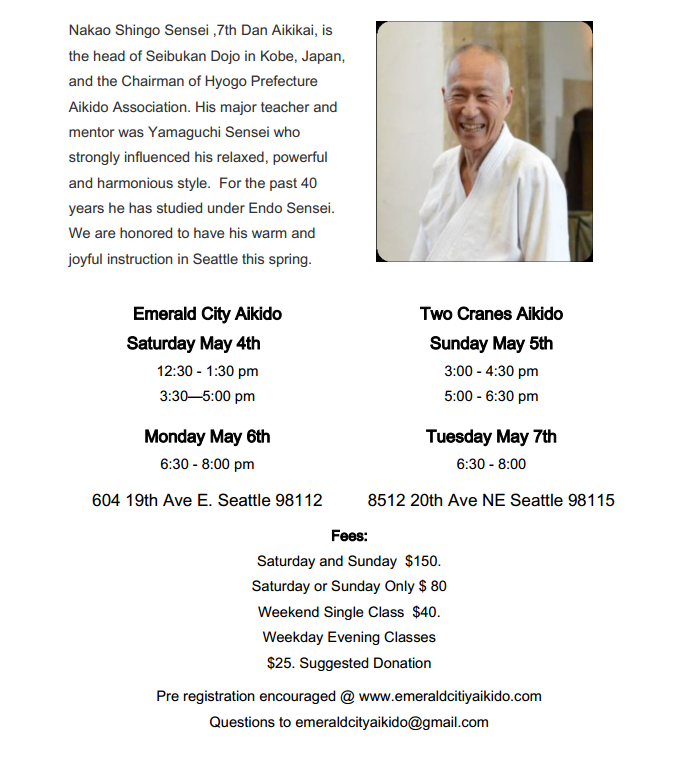 We are honored to have his warm and joyful instruction in Seattle this spring.